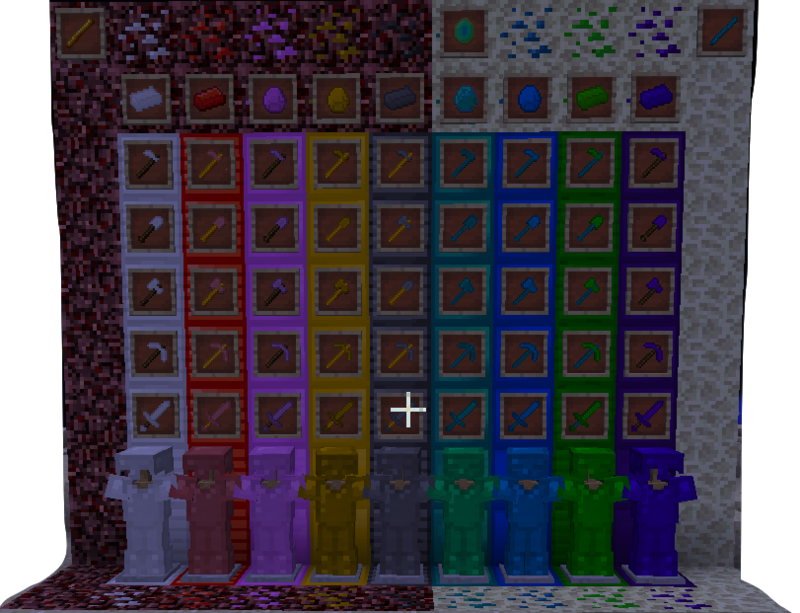 This mod adds 5 new materials for the Nether and 4 new materials for the End. The way to get all of the materials, the exceptions with some crafting recipes, and some other recipes will be down here. You can also use a mod like JEI (Just Enough Items) to see all of the recipes if you don't know. Blankite, Netherium, Titanium, Endium, and Voidium can all be obtained in the same way: smelting their block once the block is collected. Pink Diamond, Zenite, and Azurite can all be obtained in the same way: mining their block after you find them. Getting Endium is a bit different. When you mine Endium Ore, you get Endium Essence. Once you get 9 Endium Essence, you can craft some Endium! 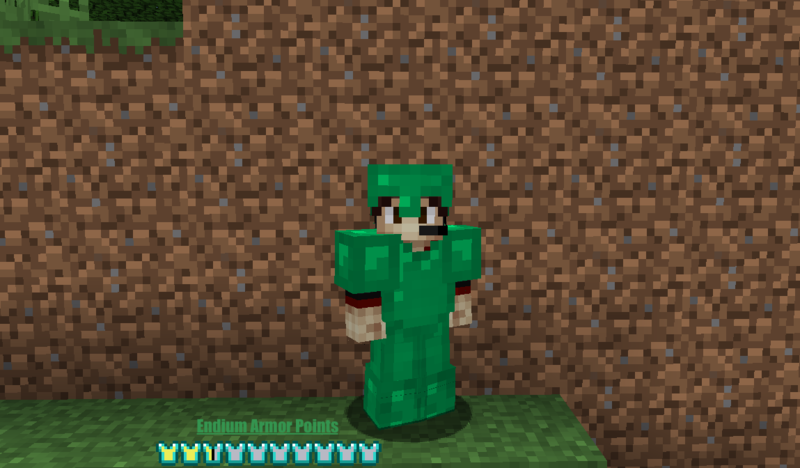 (Also, 4 Endium Essence can be used for 1 Ender Pearl. To get 2 Ender Rods, use 2 Ender Pearls like when crafting Sticks. When crafting Netherium, Zenite, and Titanium tools, you replace Sticks with Blaze Rods. 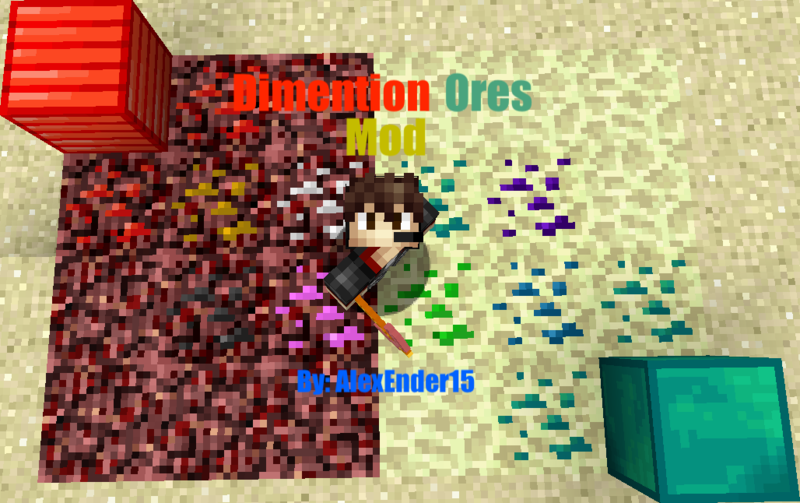 When crafting Endium, Azurite, and Telepite tools, you replace Sticks with Ender Rods. Here are the materials from best to worst (In strength). Voidium - End - At the bottom of everything (Hence the name). Telepite - End - Around the middle of the islands (z = 45). 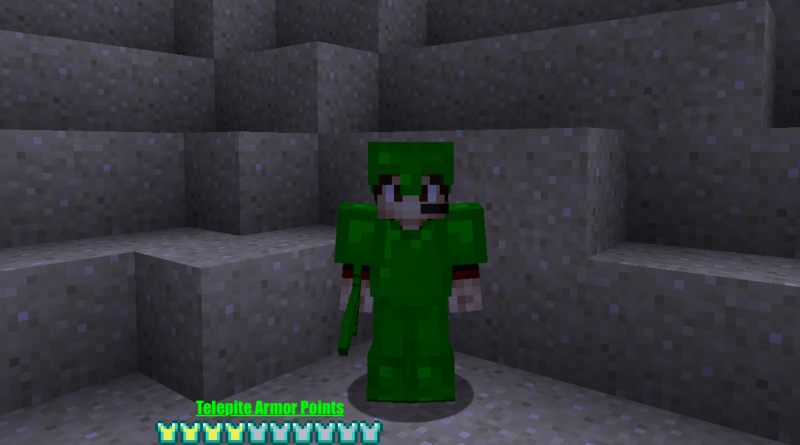 Azurite - End - Below 20 blocks. Zenite - Nether - Below 10 blocks. Endium - End - Anywhere. Pink Diamond - Nether - Below 15 blocks. Netherium - Nether - Below 60 blocks. Blankite - Nether - Above 60 blocks. Don't worry I'm planning to add some balancing fixes so it won't be as OP. Also, most of the ores are pretty rare for balancing out so you won't find any of the ores as easily as something like iron or even diamond.